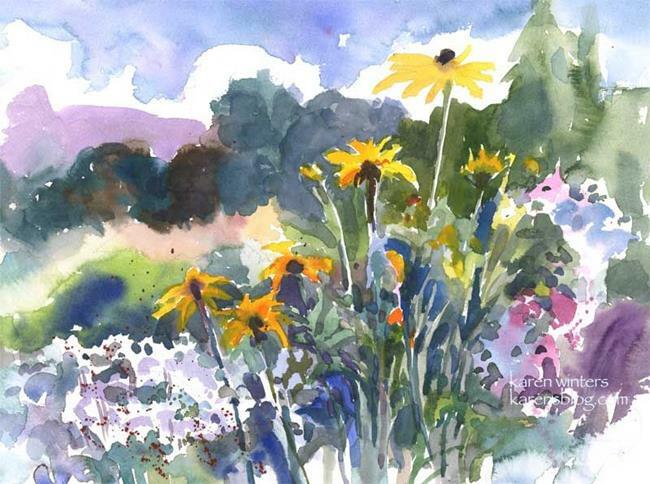 This watercolor portrays a flower garden at Descanso Gardens. Annual flowers include black eyed susans (AKA gloriosa daisies or rudbeckias) as well as lupines and statice. I used a lot of negative painting on this painting, as well as wet into wet techniques. Warms are balanced against cools to increase the excitement.